Dumplings are a part of nearly every culture and found in every part of the world. Italians make tortellini, Ashkenazi Jews make kreplach and matza balls, Japanese make gyoza, Nepalese make momos, etc. etc. However, no dumpling makes me salivate quite like a Chinese dumpling does. When I worked in Beijing, China, I think it’s safe to say that I ate dumplings every other day – if not every single day. I would go back to China if for no other reason than to eat dumplings again. When I heard that a new place opened in San Francisco with the best Chinese dumplings in San Francisco, I knew I had to go there the first occasion I could. 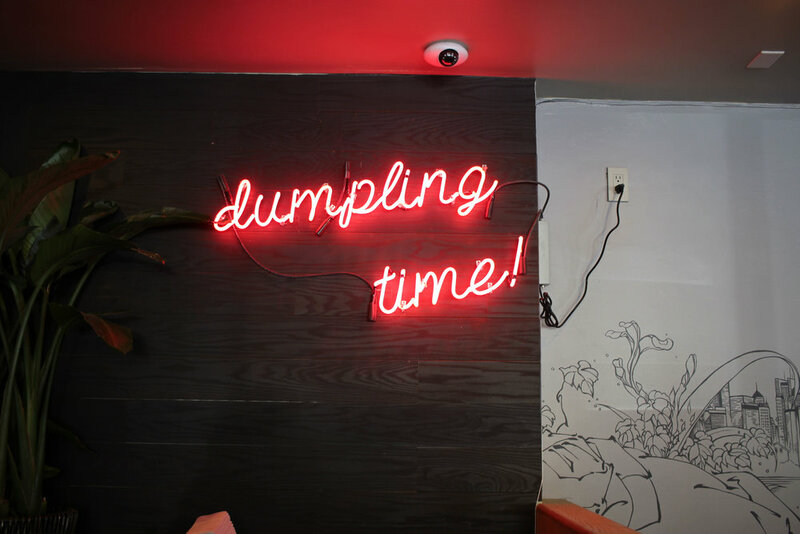 Since dumplings are served family style, what better reason to go to Dumpling Time than when family comes to town. Disclaimer: While I have not had the good fortune of trying everything on the menu, I can say with confidence, based on the select items that we shared, that everything on the menu is ridiculously tasty. The dumplings are all hand shaped with great finesse. The menu also had a great selection of vegetarian dumplings, something seldom found in many other dumpling restaurants. We started off with tea, which came served in a baby French press with real green tea leaves. I got 4 refills throughout our meal using the same tea leaves! The leaves carry so much flavor and the complexity of the drink changes with each cycle of hot water. We then shared a couple of cold appetizers. The garlic and seaweed salad was one of the most flavorful and delicious seaweed salads I’ve ever had. We also shared the cucumber and Fresno chili salad. Tom yum goong XLB with pork belly, shrimp, and coconut milk and beet wraps. Next we shared the oblong-shaped chicken bao filled with green onion, mushroom, and ginger. I typically opt for steamed vs seared bao when given a choice. The yeasty and sugary white bao dough was a perfect vessel for the moist and flavorful insides. A wave of nostalgia hit me with every bite I took of this pillowy deliciousness. I thought back to when I wandered with my nose through the streets in Shanghai and ate bao from street food carts. Perhaps that is why I love Chinese dumplings so much. They are a palpable reminder of an adventure once had. 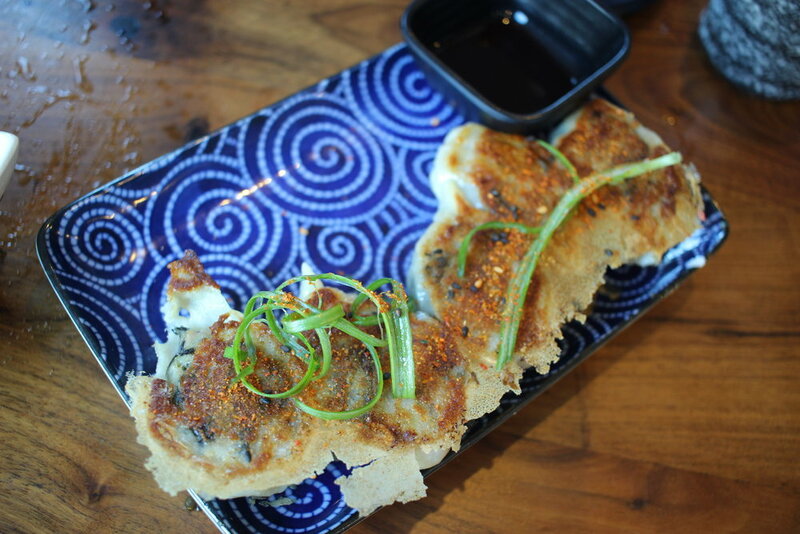 Borrowing a bit from Japanese culinary tradition, we shared next the pan-fried chicken gyoza. Though the inner mixture was akin to the bao that we just ate, the different dough mixture and pan-fried preparation gave this dish a completely different olfactory and gustatory experience. 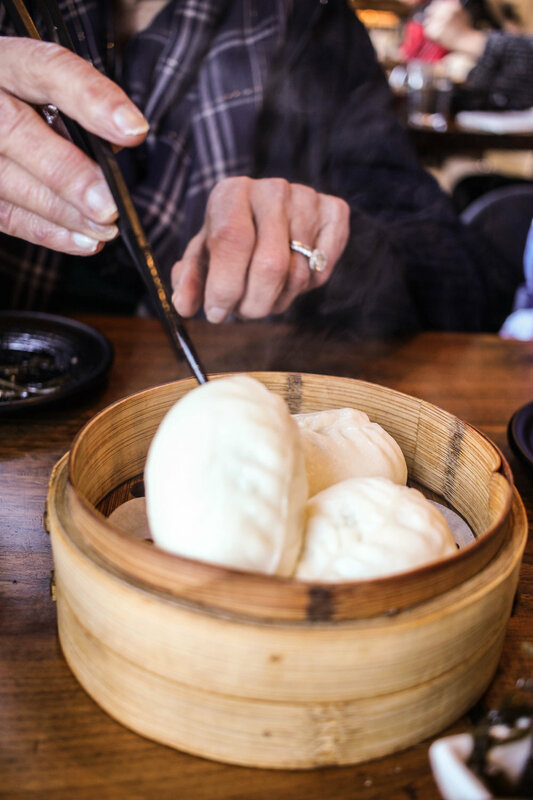 Shanghai is also known for its soup dumplings, or xiao long bao (XLB). At Dumpling Time, you have the option of ordering 6 little dumplings or one seriously massive dumpling, which even comes with a straw to drink the fatty pork juices out of it. 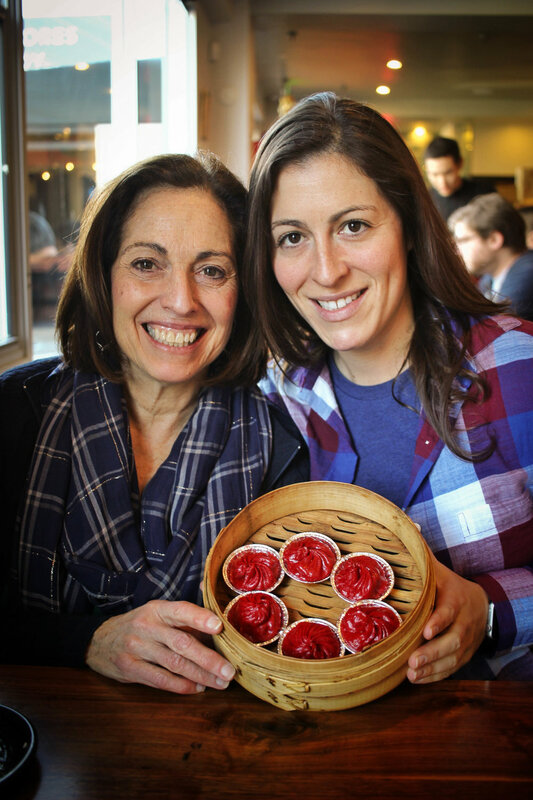 Entranced by the color of the red beet wraps, we opted for the tom yum goong XLB with pork belly, shrimp, and coconut milk. Feeling like a bottomless pit, though in actuality quite full, we glanced at the intriguing dish the waiter carried past our table and placed on the table of the couple next to us. When we asked him what it was, since it was clearly not a steamed dumpling, he professed that is was the most popular dish in the restaurant. Uncertain of what we were actually ordering, we impulsively decided to share the “shrimp toast”. More like a savory Chinese donut than a piece of toast, this "donut" was filled with minced shrimp and a spicy aioli. This was definitely the heaviest of the dishes we shared, but it is also unlike anything else on the menu and well worth trying. Thanks fam for sharing my dream meal with me. Let’s do it again soon.